Make sure to check out our newest science and STEM books! We will be adding a new printable pack of activities and color ebook of experiments for each season and holiday. You will find many easy to use STEM activities for home or classroom. If you have limited resources and limited time, our science and STEM packs are just right for you. Find STEM projects that kids of all ages will enjoy. Packs recommended for prek-4th grade! We’re kicking off the year with a collection of science and STEM books the kids will love! You’ll love the convenience of having AMAZING science and STEM activities all in one place. To get you started we have our newest addition which is the Winter STEM Pack. Of course, our Ultimate Slime Guide with Teacher Pack is also available! Get set to explore the season of winter with or without snow! You don’t need a yard full of snow for most of these cool science and STEM activities (pun intended). 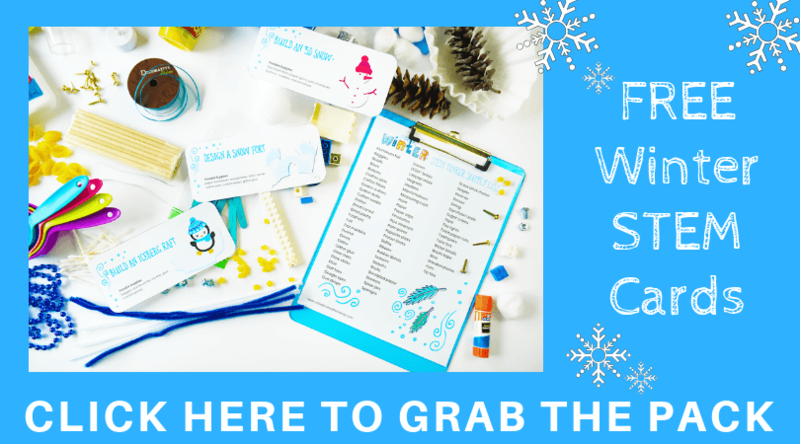 Click here to read more about the Winter STEM Pack and get an awesome FREE printable STEM pack too. 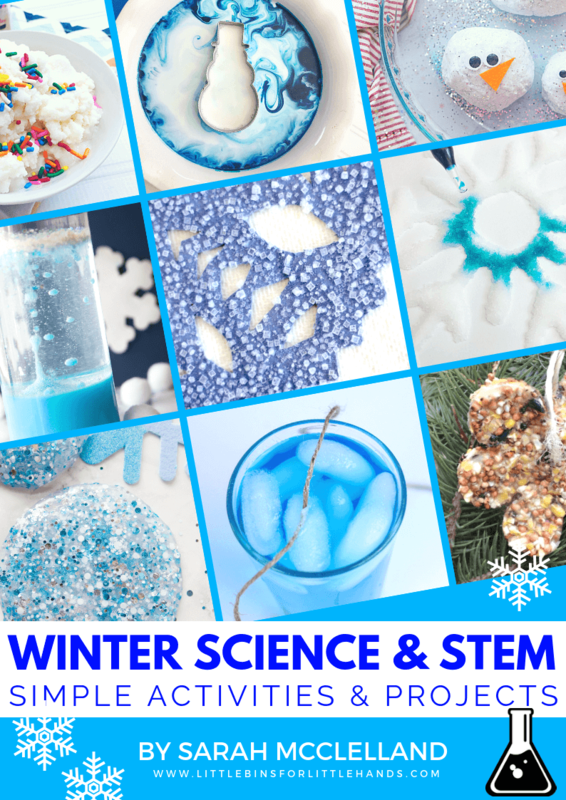 Full-color Winter Science Ebook with more than 20 hands-on experiments and activities! Printable STEM pack with more than 25 unique activities including STEM project sheets, science experiment sheets, screen-free coding activities, snow and snowflake activities, animal activities, and many extras! Get started by grabbing your FREE winter STEM challenge cards that will be sent to your inbox to use today! Check out the complete Winter STEM pack while you are at it. Click here to get your FREE Winter STEM Cards(or on the picture below)! If you are looking for an easy winter learning resource to take you through the season, we have you covered!